Oceti Sakowin, ND – Since last Thursday’s standoff with police, which ended in nearly 150 arrests, the global community responded with a massive outcry of support. In recent days, organized solidarity events have taken place around the world, demonstrating support everywhere from Vancouver, B.C. to Taiwan. 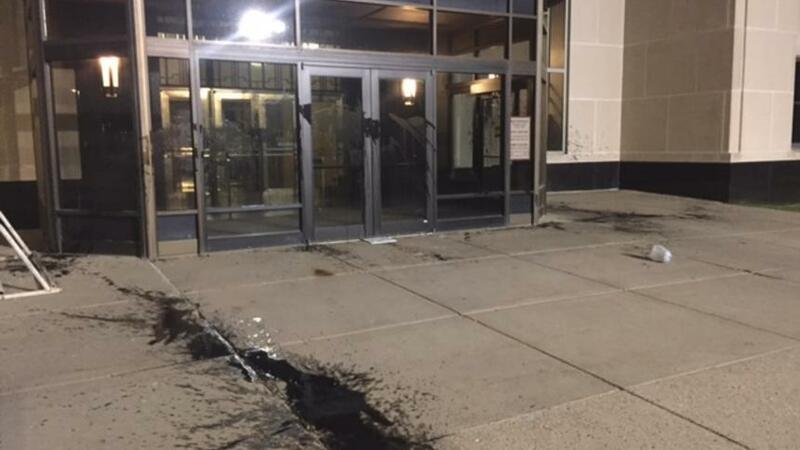 12 people were arrested in San Francisco on Monday after blocking the entrance to the headquarters of Citibank, one of the primary financiers of the Dakota Access Pipeline. That same day, seven people were arrested in Salt Lake City for blockading a Wells Fargo location, demanding the bank cancel their investment in the pipeline. Several support events also took place in Canada. On Friday night, indigenous people from the Kahnawake Mohawk nation blockaded a high-traffic commuter highway bridge leading to Montreal. Solidarity messages were also sent to the water protectors at Standing Rock from New Zealand by the island’s indigenous Maori people. On Tuesday morning, a protest in New York City in support of Standing Rock disrupted the morning commute at Grand Central Station. 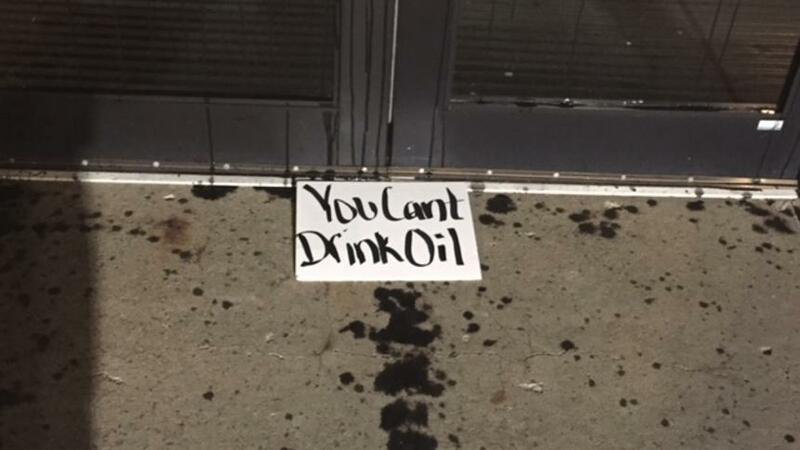 The #NoDAPL supporters in New York City also interrupted business hours at Bank of America and JP Morgan locations, both of whom provide funding for the Dakota Access Pipeline. Over the weekend, an online trend began of people “checking in” to Standing Rock on Facebook, in an attempt to confuse police attempts to determine who is at the pipeline resistance camps. While the effectiveness of this method has been questioned, it has unquestionably grown into a large show of support for water protectors, forcing #NoDAPL to become a trending topic on Facebook. As of Monday, over a million people had checked in to Standing Rock on Facebook. Unicorn Riot has no direct information regarding whether Morton County officials monitor Facebook check-ins as part of their intelligence gathering operations against water protectors. We imagine that such a method would be unnecessary given that the camps already seem to be under 24/7 visual, aerial, and photo/video surveillance, most likely including the use of advanced facial recognition and thermal imaging technology. However, based on previous reporting, we can confirm that Morton County does monitor social media for intelligence gathering purposes. Despite the frigid temperature over the weekend and the looming threat of bodily injury by police, the Oceti Sakowin camp saw a surge of hundreds more allies joining those gathered near the Standing Rock reservation. Among these allies were coalitions standing formally in support of the pipeline resistance efforts. 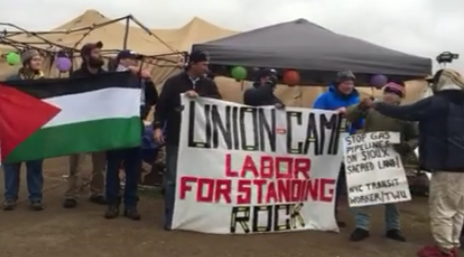 Groups included labor unions from Madison, Wisconsin and Labor for Palestine, both of whom have urged the AFL-CIO to reverse their support of the pipeline. The camp was also joined by John Bolenbough, former Enbridge oil spill clean-up employee turned whistle-blower. Bolenbough, from Kalamazoo, Michigan, claims his community was devastated by the tar sands industry. He is actively campaigning to expose oil spill cover-ups by Enbridge and is working on a film to spread his message. The Guardian, AP, NY Daily News, and Mother Jones, among many other news teams, also sent reporters who have seen the attempt by Morton County Sheriff’s Department and DAPL security to silence this story by targeting and arresting journalists. Amnesty International and the United Nations deployed human rights observers over the weekend to monitor treatment of water protectors who have been arrested and jailed. On Saturday, a large crowd of water protectors marched onto the Highway 1806 bridge which was the site of a confrontation between warriors & North Dakota armed forces on Thursday night. Grand Chief Edward John of the International Indian Treaty Council and Roberto Borrero arrived on behalf of the UN on Sunday and immediately began to take testimony from women who were arrested en masse on Thursday. Many of the women experienced human rights violations such as being denied access to diabetic medications and other urgent medical needs. In the days since the brutal, militarized assault which pushed water protectors off the Oceti Sakowin treaty land camp, police have established a hard zone around the area in which DAPL construction is now taking place (an area we have been told contains many sacred sites). We have been told that DAPL construction is less than two miles away from the Missouri river. Police and military forces deployed by North Dakota to protect DAPL assets are now within a mile of the main resistance camp. The water protectors assembled at Standing Rock insist they will continue to resist construction of the Dakota Access Pipeline and most show no sign of intending to leave. Unicorn Riot was told that on Monday evening, a group of water protectors swam across the river to confront DAPL security, who were present on the other side of the river with floodlights, razor wire, and pepper spray. No arrests took place as a result of the swim. Early Tuesday afternoon, a group of water protectors paddled canoes through the floodplains on US Army Corps of Engineers land to attempt to observe DAPL construction. A video posted to Twitter by journalist Alex Rubinstein shows armed men (possibly North Dakota law enforcement or National Guard) threatening people with arrest on Army Corps land, which is believed to be outside their jurisdiction. The men threatening water protectors with arrest claimed to have a “document” indicating permission from the Army Corps to conduct arrests on Army Corps property. This document was not shown to anyone and Unicorn Riot is currently attempting to contact the Army Corps of Engineers to confirm or deny this claim. Unicorn Riot will continue to regularly provide direct updates about resistance to the Dakota Access Pipeline. Follow our media on Twitter, Facebook, and our website for more information surrounding the ongoing struggles against the Dakota Access Pipeline. Some writing for this article contributed by Andrea D.